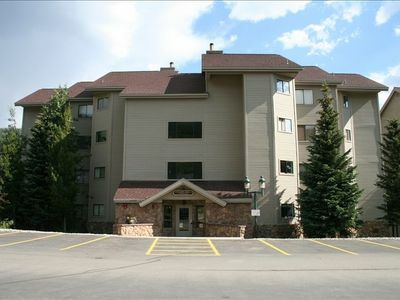 Great condo located in town with easy access to shopping & dining. 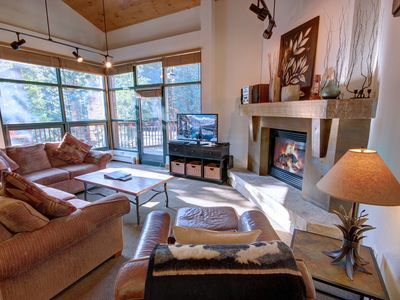 This premier Main St Junction vacation home combines extraordinary function and design with an idyllic location. 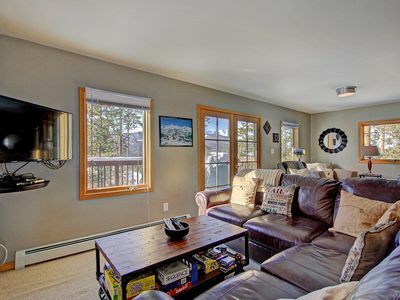 Located in the heart of historic downtown Breckenridge, Colorado, this 3 bedroom, 3 bathroom condo provides guests with a luxury residence, while also offering all of the comforts and conveniences of home. 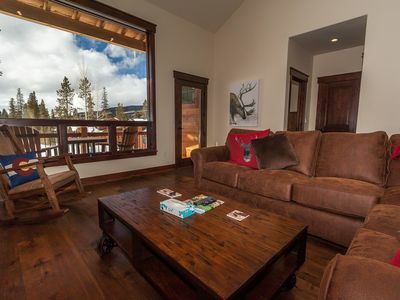 Located just steps from world-class skiing and snowboarding, hiking, fly fishing and mountain biking, this vacation rental offers guests all you need to enjoy all that this year-round vacation destination has to offer. 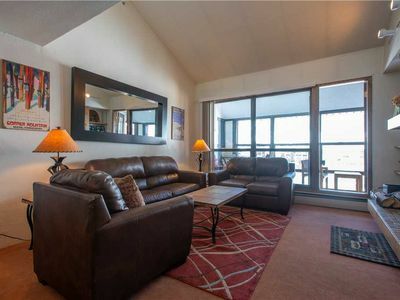 This condo is well-appointed and beautifully furnished throughout. You and your guests will surely appreciate the thoughtfulness and attention to detail afforded in the design of this property. 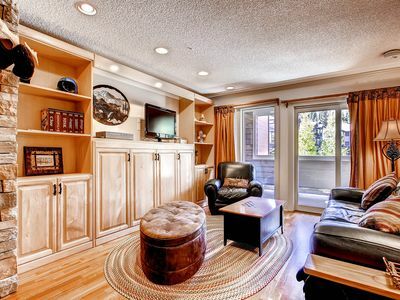 The wood floors and decorative accents impart warmth throughout the home. 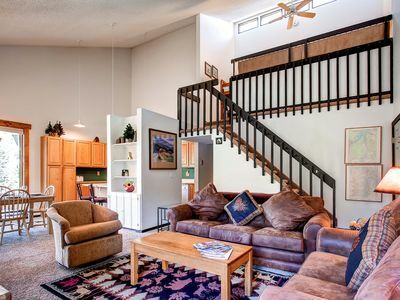 The vaulted ceilings, open floor plan and natural light makes this space bright. The gourmet kitchen is perfect for entertaining, and the high-end finishes, including slab granite counter tops in the kitchen, complement this home's aesthetic. 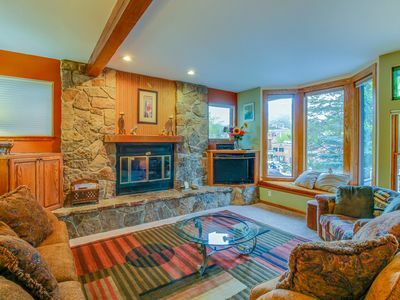 Perfect for families or a gathering of friends, this home provides everything you will need to feel right at home and relax during your well-deserved mountain vacation. 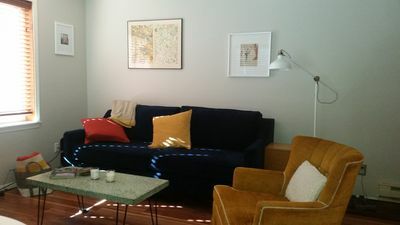 The living room is bright and well-appointed. 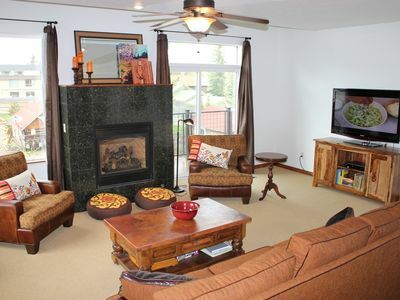 Relax in front of the large flat screen TV or gas fireplace in this luxurious, yet cozy area of the home. 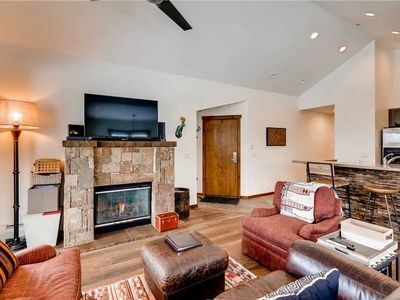 The living room has a natural, moss-rock gas fireplace with a beautiful Colorado sandstone hearth and heavy timber mantle.The kitchen has updated stainless appliances, a granite slab counter space and bar seating for three people. 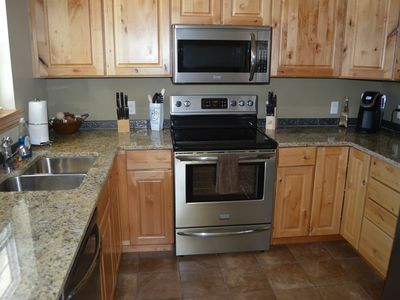 The kitchen opens to the dining area with a table that accommodates 6 additional guests. 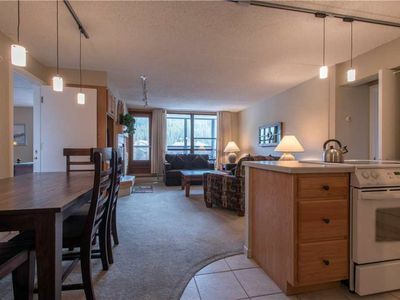 This kitchen is fully stocked and includes an oven, microwave, refrigerator, and coffee maker to ensure you have everything you need to host a gathering, entertain, or simply enjoy a night in.With three 3 bedrooms and 3 bathrooms, this property will comfortably accommodate 6 guests. The master bedroom provides a king bed and en suite bathroom with dual sinks, a jetted tub and shower. 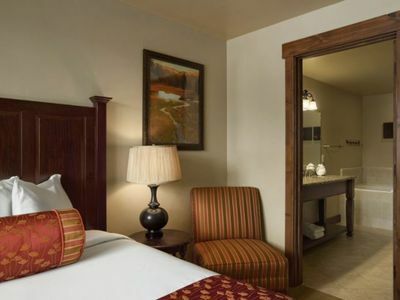 The second bedroom provides guests with a queen bed and attached bathroom with a walk-in shower. The third bedroom has a king bed and attached bathroom with a bathtub. Each bedroom provides guests with a flat screen television. Enjoy hosting a BBQ for family and friends, or relish the sanctity of nature while taking in the scenic views from your private deck. 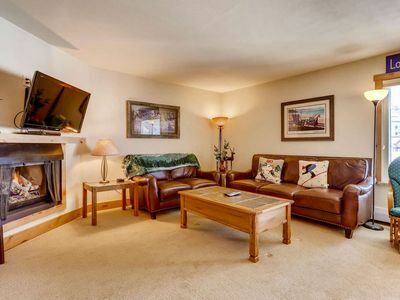 End your perfect mountain day by relaxing in the common-area outdoor hot tub, which is located just steps from your front door!This home provides guests with a private washer and dryer . For your convenience, this home provides Private Hi-Speed WiFi. The television in the living room has Xfinity cable service, complimentary Netflix and HBO Now. The Master bedroom and 3rd bedroom televisions offer Roku TV with complimentary Netflix and HBO Now. The middle bedroom has Apple TV. 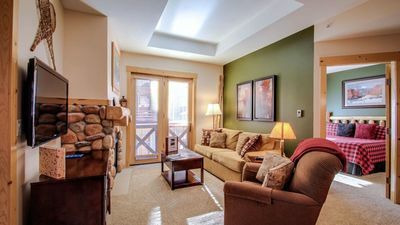 Main Street Junction is a one-of-a-kind property providing all the comforts of home with the amenities of a full-service resort. 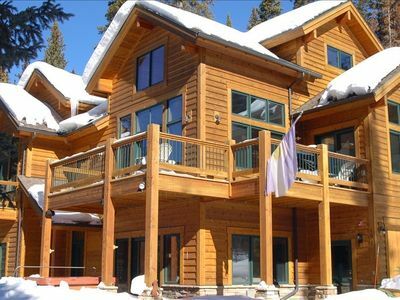 There are private garages, off-street parking and two private seven-person hot tubs on site. 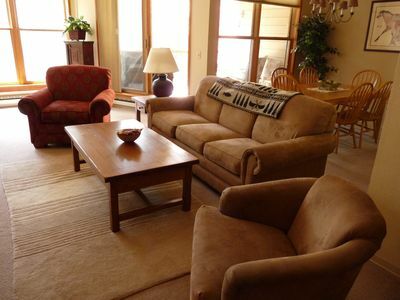 Guests of Main Street Junction also enjoy the benefit of access to all the amenities offered at Main Street Station, right across the street, including concierge service, ski storage, fitness center, pool and hot tubs, ski storage, Pioneer Club lounge, private theater and free in-town shuttle. 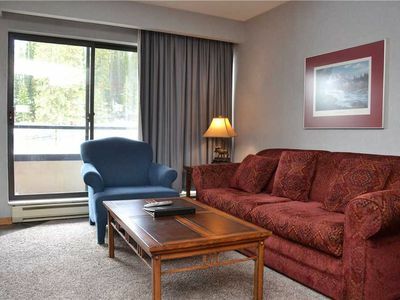 Wyndham Vacation Rentals also offers a complimentary guest shuttle! This unit has parking for one vehicle. 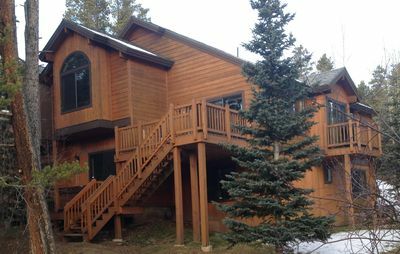 Peak 8 Luxury Mountain Home 3 BR/3 BA With Mountain Views - Walk To Slopes! 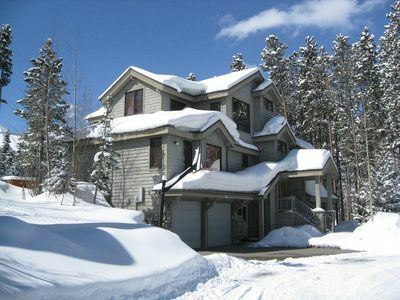 Beautiful Victorian in historic Breckenridge, one block from Main Street!